As I said in my American Sniper review I saw it and Imitation Game on the same day and they are more similar than you might at first think. They are both about unusual men who saved lives in time of war. 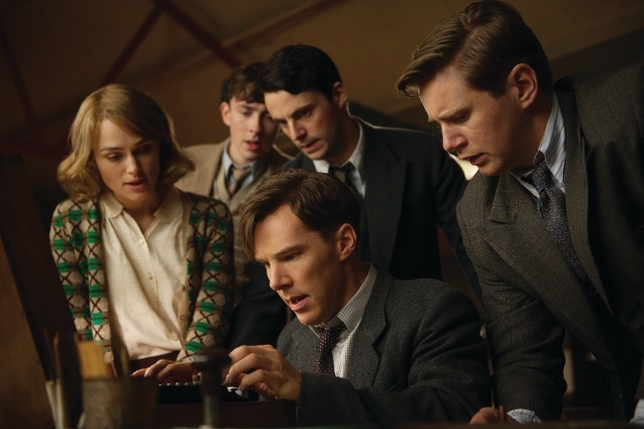 The Imitation Game is about the mathematician Alan Turing who invented an early computer that helped the British to solve the enigma coding machine the Germans used. 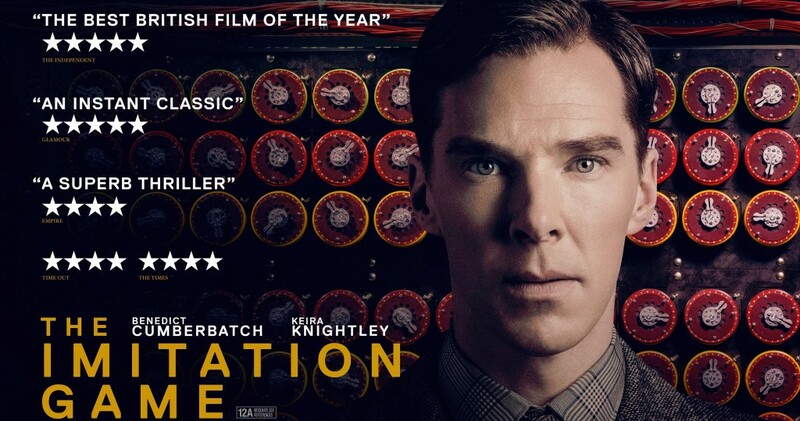 At the end of the movie they say Christopher (Turing’s machine) saved 14 million lives and helped end the war 2 years sooner. That is pretty amazing especially for someone I’ve never heard of before this year. The reason why we haven’t heard of Alan Turing is his untimely death in 1954 and the fact the entire code breaking enterprise was kept secret for 50 years. In a lot of ways The Imitation Game is a lot like The Theory of Everything. Both about geniuses who aren’t appreciated at first but end up making great contributions. Both have personal struggles that make it even harder for them to be accepted- Stephen Hawking his disability and Alan Turing being gay at a time where it was illegal to do so. Both are good movies but I would say The Imitation Game is better although it falls into some of the same standard biopic formulas we’ve seen before. Of the 4 biopics nominated for best picture I’d rate them- Selma, American Sniper, Imitation Game and Theory of Everything. And they are all good movies just Game and Everything are a little predictable and formulaic. 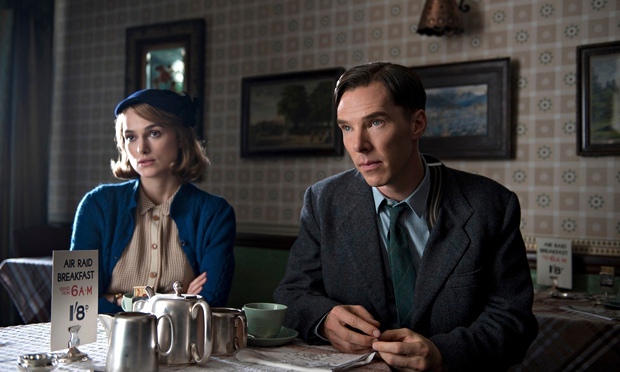 Benedict Cumberbatch is very good as Alan Turing and I thought Keira Knightley was pretty good as his fiance and friend. The rest of the cast is good with the exception of Charles Dance playing the obligatory stick in the mud boss who doesn’t recognize genius we’ve seen in a million other movies. I could have also done without the cop interviewing Turing narration throughout that felt extremely phony. I don’t think anyone had to tell a gay man in 40’s England to keep quiet about their homosexuality. This is a genius we are talking about. Matthew Goode and Allen Leach (from Downton Abbey) take small parts as members of the code breakers and all the sets and costuming is very well done. Alexandre Desplat’s music is also very moving and not over the top like so many biopics. The movie ends on a very sad note that is necessary as it is the real events but I couldn’t help but wish the movie had been a little less formulaic to help absorb that sadness- it kind of came out of left field. But it was tragic for sure. 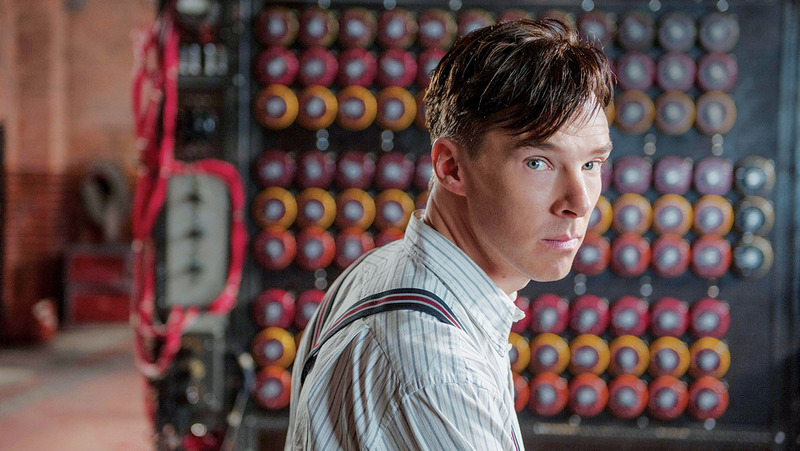 Cumberbatch is great as Turing. He is basically playing the same role as he is in Sherlock so if you like him there you will like him here. He is vulnerable and awkward yet still likable in a way few actors could pull off. The parts with the codebreaking were new and I learned something. And like I said the rest of the performances are great. Overall a very entertaining enlightening film. It is also nice that it tells the story of a gay man without an agenda or vulgarity being shoved at the screen. It’s just his story. I love that and think it is perhaps more impactful than some films that are more blatant and heavy-handed in their messaging. I certainly was moved by it. As far as content it is pretty clean. 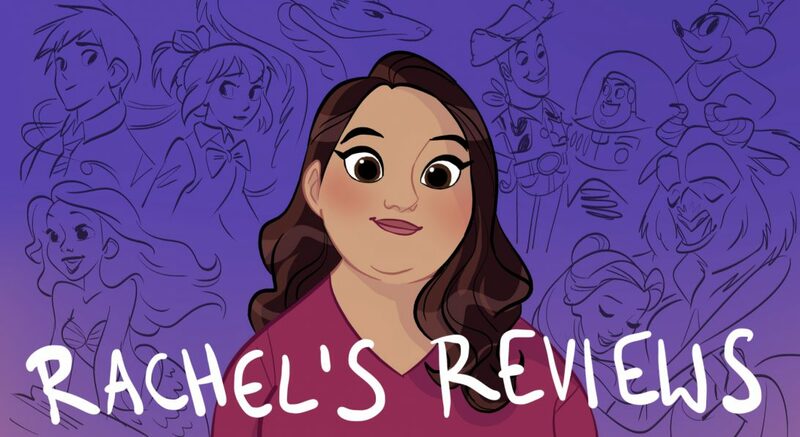 There is a little bit of PG-13 level profanity and one sexually explicit joke I’m surprised they could slip by with but other than that a film appropriate for middle school and up and a worthwhile message and story to learn about. Pingback: The Walk Review | Reviewing All 54 Disney Animated Films And More!